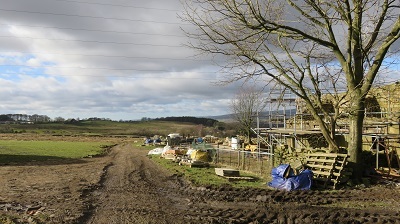 It was been stated before on this page that few towns in Lancashire have better access to nearby countryside than Burnley. So much so that I feel the estate agents of the town are missing a trick. The town could market itself as a hub for outdoor activities. Well to do Londoners could buy second homes at a snip instead of paying six figure sums in the Lakes or Dales. 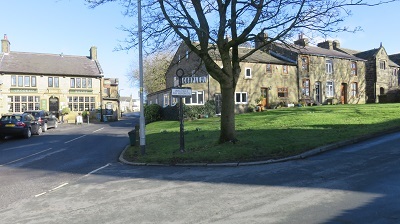 This would give them the chance to part take in the rich cultural life of Lancashire – tripe throwing, whippet driving and the like – as well as exploring the varied landscapes of the surrounding countryside. Besides all this Burnley boasts the only Lancashire football club in the Premiership as the Burnley Contingent never tires of reminding us! 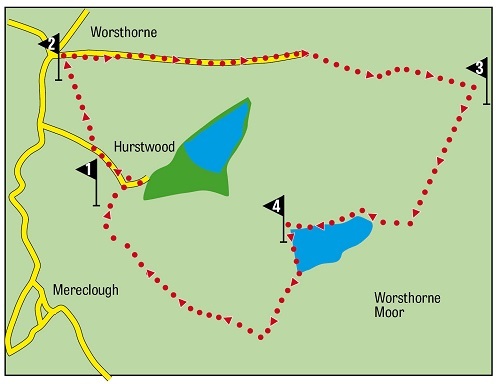 Map: OS Outdoor Leisure 21 The South Pennines. bringing you out opposite the rather imposing church. 2. 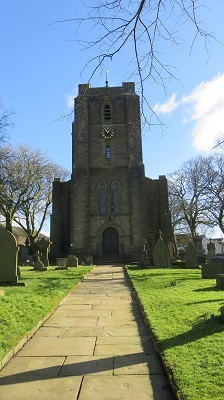 Pass the front entrance of the church on your right and turn right onto a road. 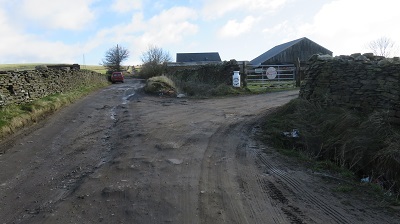 A sign post indicates that it is the road to Gorple and it is unsuitable for motor vehicles. 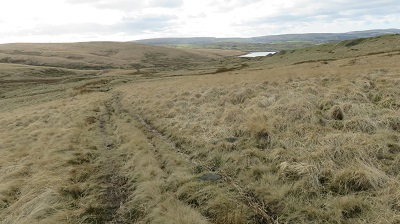 Unsuitable for motor vehicles it may be but it has been described as "one of the finest moorland tracks in the country". I know this because the words are mine! 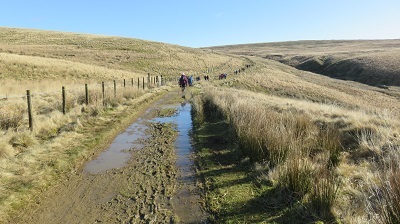 (See "100 Walks in Lancashire" Pub. Crowood Press 2015). So how have I arrived at this opinion. Firstly it unambiguously plants itself on the landscape. Once on it you can put the map away and enjoy the scenery. 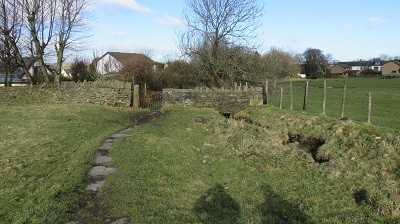 Little wonder it forms part of the Pennine Bridleway. 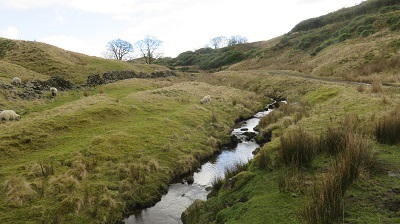 Secondly it takes you from the urban sprawl of north east Lancashire to the wild moors of the South Pennines. Finally there is something of an allure in the name "Gorple". With the hard "g" it seems as though it is describing somewhere substantial. Unfortunately on this walk you will never know because the route described doesn't go that far. 3. Two miles after joining the track look for a worn path on the right. 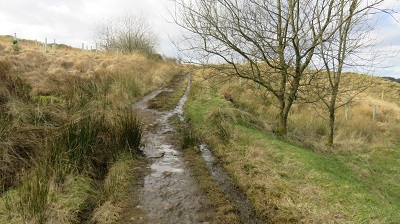 It is just before a depression cause by the tiny stream leading into Rams Clough. 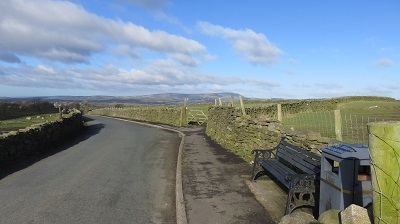 Make a note of the location and continue for a further 1/3 mile to a gate to be rewarded with a magnificent moorland panorama. The only thing that detracts from this view is the fact that in passing through the gate you are now in Yor… That Other Place! With your passport stamped now return to worn path (now on your left). This is all the things that the Gorple Road isn't. 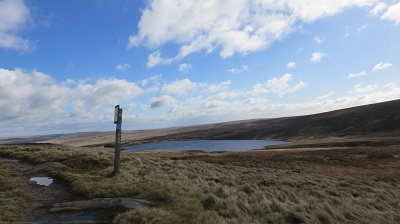 It is far from definite and in some places as it nears Cant Clough Reservoir it becomes downright confusing as it threads its way through old mine workings. 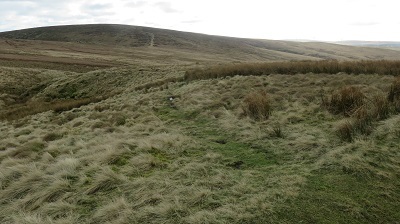 Aiming for the eastern tip of Cant Clough follow the way left when you find yourself by a grassy shelf that might have been a trackway for the mining. 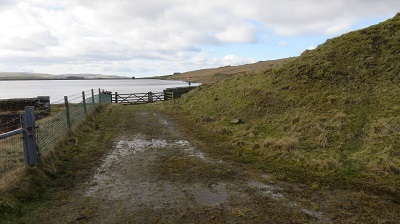 Then keep on a narrow path overlooked by tall hummocks. 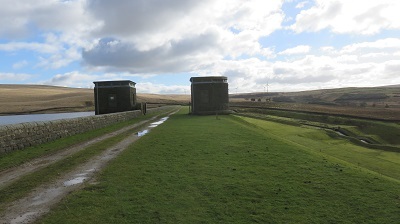 Once by the reservoir access a waterside path on the right of water that leads to the dam end. 4. 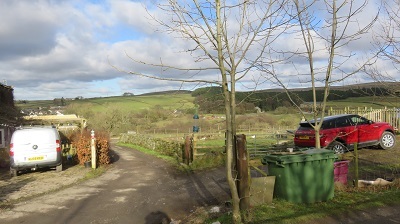 From here the track ahead and the track to the right lead more directly to Hurstwood. Here we offer a short extension. Turn left to cross the dam. 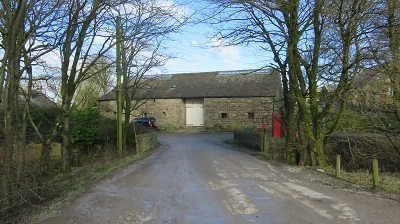 that leads up to Middle Pasture Farm. onto a track leading past a noisy dog and dipping to Foxstones Bridge. 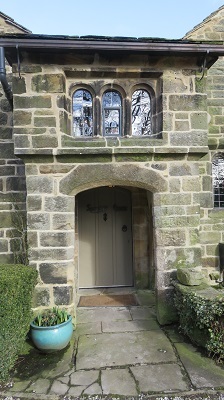 Climbing up through a wooded dell come back into Hurstwood close the the Hall and opposite Spencer's House named so because the Elizabethan Poet Edmund Spencer had some association with it.